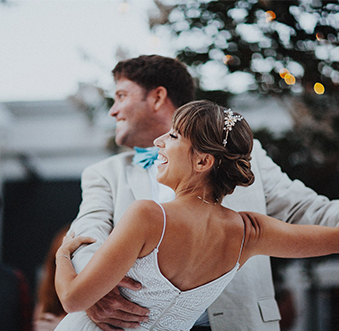 It’s true that summer is a popular time to tie the knot, but lately, an exceeding number of couples have been going off-script, trading in the blistering heat for cooler, autumnal weather. There’s a certain draw to the fall season. It usually brings to mind tawny, warm colors and a distinct cozy mood. And even though California is not exactly a prime leaf-peeping destination, with the right location and decor, there’s a lot you can do to conjure up the spirit of fall. Here are a few companies and locations to have on your radar when planning a wedding during pumpkin-spice season. Sure, a wedding by the beach is the dream of many brides and grooms (not to mention, so California), but there’s something to say about a ceremony tucked away in a fairytale-esque green locale. The Environmental Nature Center offers up a sprawling 8,500-square-foot complex—complete with halls, patios and native gardens—for up to 180 of your favorite people. 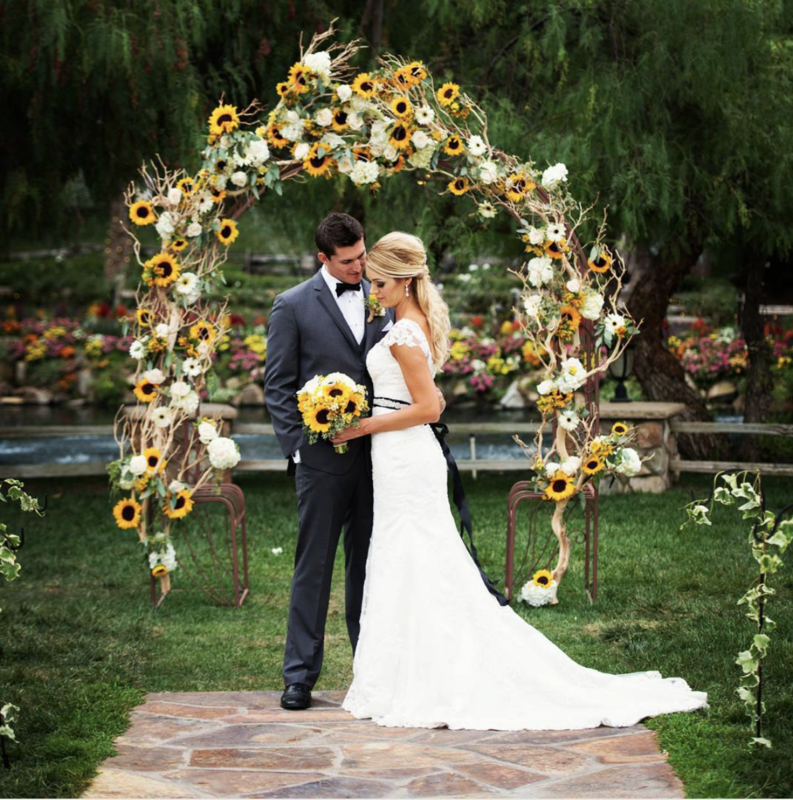 Although there are some indoor options, ceremonies primarily take place outdoors in the midst of towering trees, native plants and the soothing sounds of water rushing down a stream. At nighttime, solar-powered lanterns illuminate the space, and guests can hunker down by the small amphitheater, which frames a large open fire pit. (Roasting s’mores are not only allowed, but encouraged.) The added bonus? The center prides itself in being eco-friendly, featuring energy-conserving climate control and water-efficient systems and fixtures. Hyatt Regency Newport Beach. Hyatt boasts multiple indoor and outdoor spaces that are deftly situated adjacent to one another. Take the Plaza Arbor, the hotel’s largest ballroom, which is the perfect canvas for a not-quite-indoors, but not-quite-outdoors kind of wedding. Thanks to an overhead covering and built-in heaters, the space can prove to be versatile, especially if you’re hit with an albeit rare, spell of rain. But if that’s not something you’re too worried about, and you’re leaning toward a more intimate wedding, you can opt for the Garden Patio. 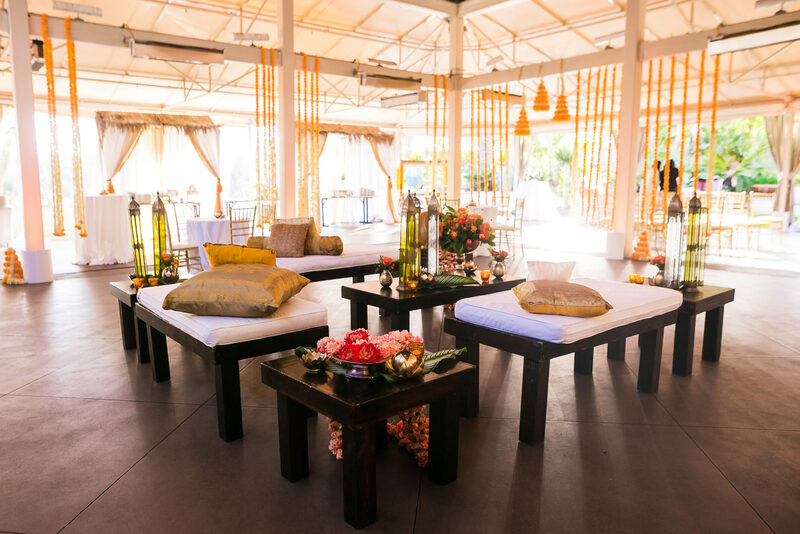 The cozy area, which accommodates 80-100 guests and comes decked out in romantic string lights, is perfect for a small celebration or a cocktail reception. Another weatherproof idea? Fashion Island Hotel’s newly redesigned Cabana Room. With folding glass door panels that open to a private, heated alfresco terrace, this quiet pocket of the hotel may very well be every bride’s Eden. Think: coffered ceilings, Murano glass chandeliers, decorative art panels and most importantly—lots and lots of glowy, photo-friendly light. However, if your guest list is running a little longer than 130, you can opt for the hotel’s ballroom, which allows for 600 of your closest friends and family. If you’re a fan of grandiose, lavish I-do(s), it doesn’t get better than this. No disrespect to the rest of the year, but no other season ushers in the same kind of comforting symphony of flavor like fall. The starlet of autumn might be the humble pumpkin, but there are plenty of other ingredients that make the segue from summer into fall a happy occasion. And when it comes to dishes, Chef David Man—executive chef of Fashion Island Hotel and Coastal Catering—is brimming with ideas. David uses peak-season ingredients and spins them into dishes that are fresh and contemporary without sacrificing the coziness you’d expect from the season. This translates to offerings like cornbread stuffing croquettes with sausage filling and cranberry relish, or lamb brochettes with roasted cherry tomatoes as hors d’oeuvres. For a buffet appropriate to the season, David suggests carving stations with whole-roasted cedar plank salmon and roasted crown of pork. What’s more, pastry chef Andy De La Cruz can dream up desserts worth drooling over, like petite pear galette with salted caramel, pumpkin-pie cake pops and warm apple cobbler spoons. Another Newport-Beach-based catering company, Culinary By Design, can also offer up a wide swath of comforting menu items. That is, if you plan on having fewer guests on the scene, as executive chef Stephanie Miller caters to events with a guest list of no larger than 40 attendees. (That way, Stephanie says, she can really zero in on the food). For your intimate celebration, she can whip up a can’t-miss butter squash soup infused with cumin—a secret ingredient which inflects the dish with smoky undertones reminiscent of a campfire. More fall-inspired offerings that won’t fail to dazzle? An apple salad with mixed greens, gorgonzola cheese, candied pecans, pomegranate seeds and a light champagne dressing. Fall-off-the-bone short ribs braised in red wine. Balsamic/garlic chicken with pappardelle noodles, arugula and fresh grated parmesan.Lately, Stephanie has even been playing around with a pumpkin version of her creamy crème brûlée. Speaking of baked goods, Newport Beach is also home to Baking Betty’s, a cookie-centric bakery which opened its doors back in 2009 with Minnesota-native Emily Osterberg at its helm. Baking Betty’s churns out an assortment of cookies, with flavors that venture far beyond the traditional oatmeal raisin and chocolate chip. 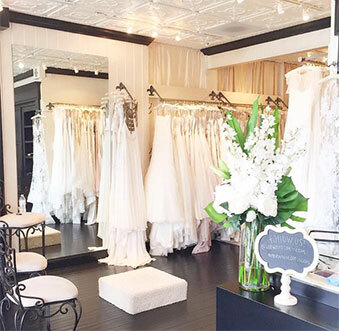 Lucky for Newport Beach brides and grooms, Baking Betty’s caters weddings, too. The bakery’s delicious seasonal treats—Caramel apple! Pecan pie! Pumpkin chocolate chip! Gingersnap gussied up with icing!—can be served in playful cookie jars on the dessert table or wrapped as party favors. (Bonus points: the cookies can also be personalized). 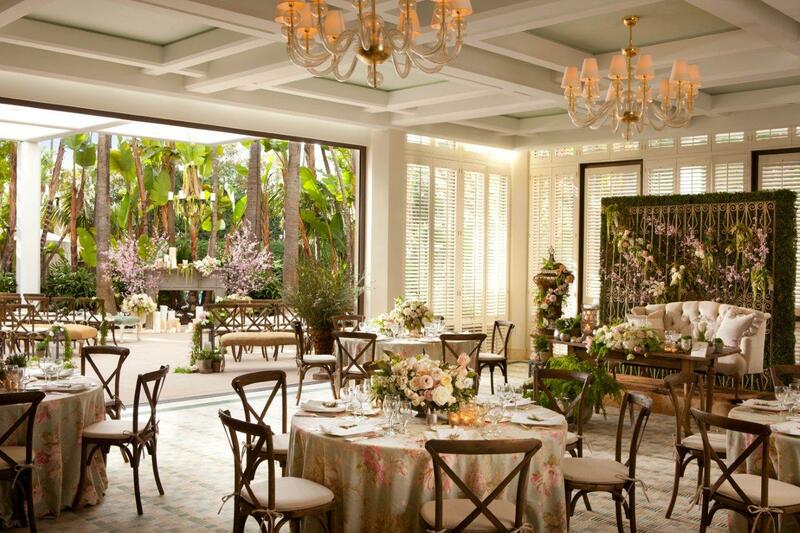 One of the incredible things about decor is its ability to transform just about any location into a dream backdrop. And when it comes to fall, there’s a lot to play with. Enter Roger’s Gardens—the Corona-Del-Mar-based purveyor of all things home and garden. They’ll tell you things you didn’t know, like how weaving in vines and wispy branch stalks with florals can elevate your decor game with a cozy, rustic, autumnal twist on classic arrangements. 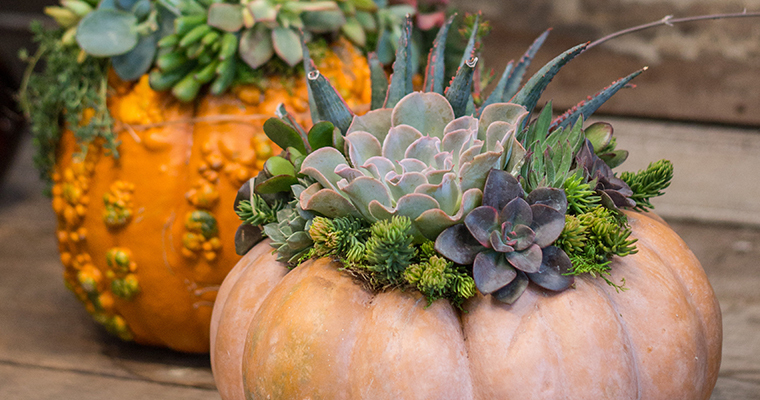 Or like how a pumpkin shell can become a vase and pull double-duty as a centerpiece. What’s even better—With pumpkins sourced from local farmers, there’s a vast palette to choose from. Sure, the season lends itself to a cornucopia of bright, bold orange gourds, but the folks at Roger’s Gardens think outside the box with shades like eggshell whites, greens and muted, tawny ambers. They also dream up floral arrangements that make good use of the season’s blooms—millets, Leucadendrons and dahlias, to name a few.